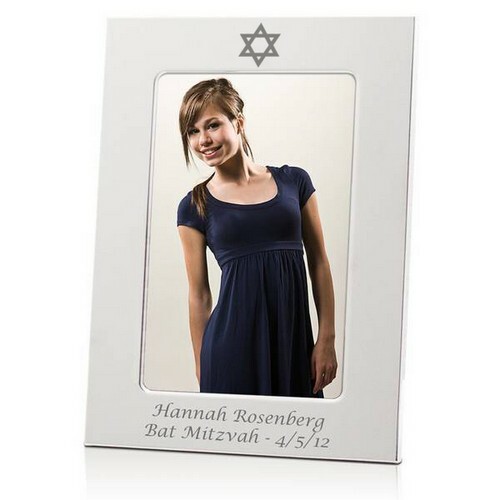 This wonderful picture frame serves many gift giving situations and options.You personalize it yourself to suit the proper occasion. 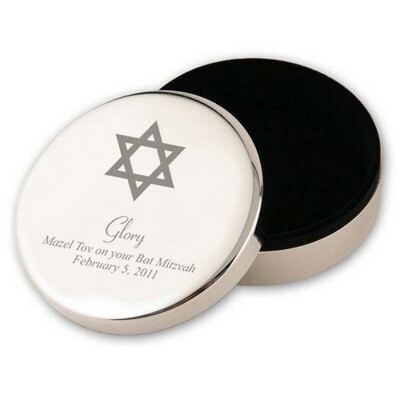 It may be used for baby's first Hanukkah, as a bar or bat mitzvah gift, as a special gift to extended family or friends or as a Hanukkah present for your own family! 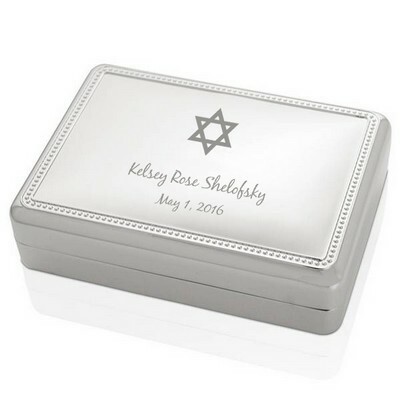 Silver plated frame has a stunning Star of David engraved at the top; the bottom provides room to add two full lines of your personal message. Frame is 5 1/2 x7 1/2 inches in size and holds a 4 x 6 inch photo. 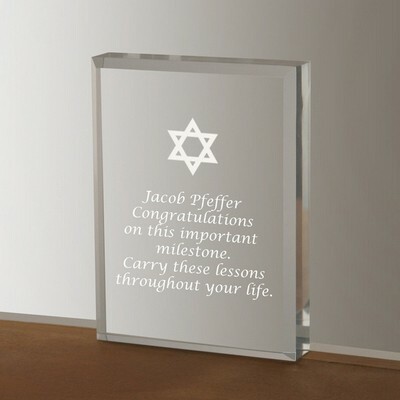 Personalize this gift with two lines of text at the bottom of the frame. 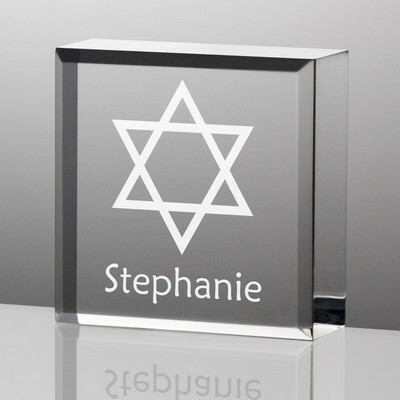 Comments: The frame is elegant and beautifully simple looking with the Star of Daivid. I love it!! 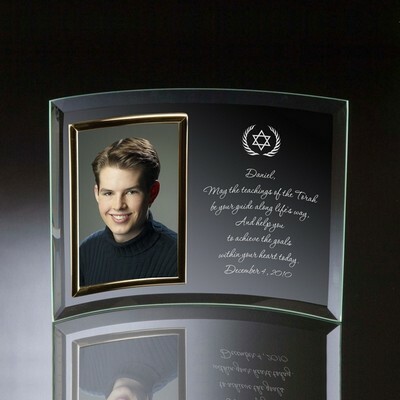 Comments: The frame came in a timely manner and was beautifully engraved I was very happy with the transaction.